Perforated Window Decal or Film are recommended for full-coverage storefront, office, or car windows without blocking the outside view. This material is patterned with tiny holes, allowing light to shine through and allows outside view from the inside. Perforated Window Decal is easily applied face up, to the outside surface of the window and is easy to clean. This material stretches upon removal and therefore cannot be reused. 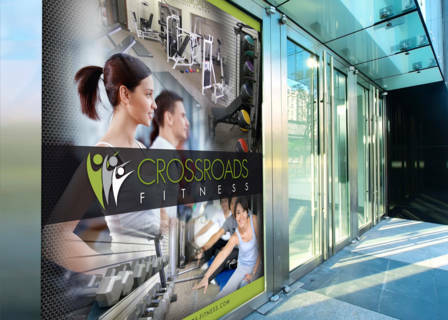 Perforated Window Decals are recommended for full-coverage storefront, office, car windows and other transparent surfaces without blocking the outside view. It enables visibility of printed graphic under daylight as well as retro-reflected light at night.